In the far away city of Nukus, in the desert of northwestern Uzbekistan, is the Karakalpak State Museum of Art. This extraordinary museum, which houses the second largest collection of Russian avant garde art in the world, is the life's work of Igor Vitalyevich Savitsky. To celebrate the centenary of Savitsky's birth this month, the Friends of the Nukus Museum funded the English-language publication Homage to Savitsky. Originally published in Russian to accompany the exhibit at the Galayev Gallery in Moscow, this marvellous book presents selected works from the museum's holdings and private collections in Moscow. It sheds new light not only on the achievements of this remarkable man, but also on some of the artists whose legacy he preserved. Correspondence between Savitsky and artists (or their heirs) is included. So too are notes and articles by Igor Savitsky in which he outlines his views on assembling an art collection and developing an art museum. Savitsky first visited the region in 1950 as a member of the famous Khorezm Archeological and Ethnographic Expedition led by Sergei Tolstov. Subsequently, having moved from Moscow to Nukus, Savitsky began collecting Karakalpak nomads' carpets, jewellery and textiles. At the same time, he began collecting the drawings and paintings of artists linked to Central Asia, including those of the Uzbek school, and, during the late-1950s/early-1960s, those of the Russian avant garde. These works were banished or destroyed by Soviet authorities because avant garde art did not conform to the officially prescribed Soviet "socialist realism". 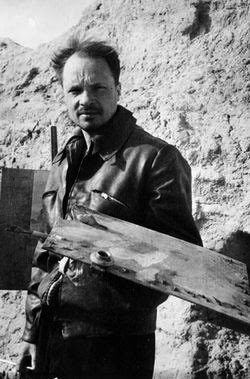 Savitsky was able to persuade the local (communist) authorities that Karakalpakstan needed an art museum and, in 1966, he was appointed founding director of the Nukus Museum of Arts. He was able to make his dream of a unique and unusual museum - not just a copy of the Tretyakov in Moscow - come true. Given its distance from Moscow and its remoteness in Uzbekistan’s Kyzl Kum desert, Nukus was an ideal location for Savitsky’s purpose. New buildings are underway to display more of the 90,000+ objects in the museum's collection. The first building is set to open in September 2015. A new film - Passion - about the life of Savitsky from renowned film maker Ali Khamraev - will be premiered at the museum on 4 September. An earlier film, Desert of Forbidden Art, introduced many foreigners to the Savitsky collection. Australian broadcaster SBS also made a fascinating 15-minute program about Nukus and the Savitsky collection in 2002. You can watch Keepers of the Lost Art below on YouTube [If this does not appear on your device, please go directly to https://www.youtube.com/watch?v=pxu357CRKk8]. 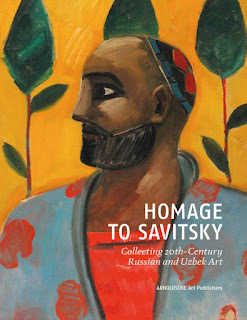 Homage to Savitsky is available for purchase at the museum and online through major booksellers. If you have visited Nukus, you will be delighted by the publication. It is a high-quality edition published by Arnoldsche Verlagsanstalt. A one-day visit to the Savitsky collection in Nukus is a highlight of an Uzbek Journeys tour.